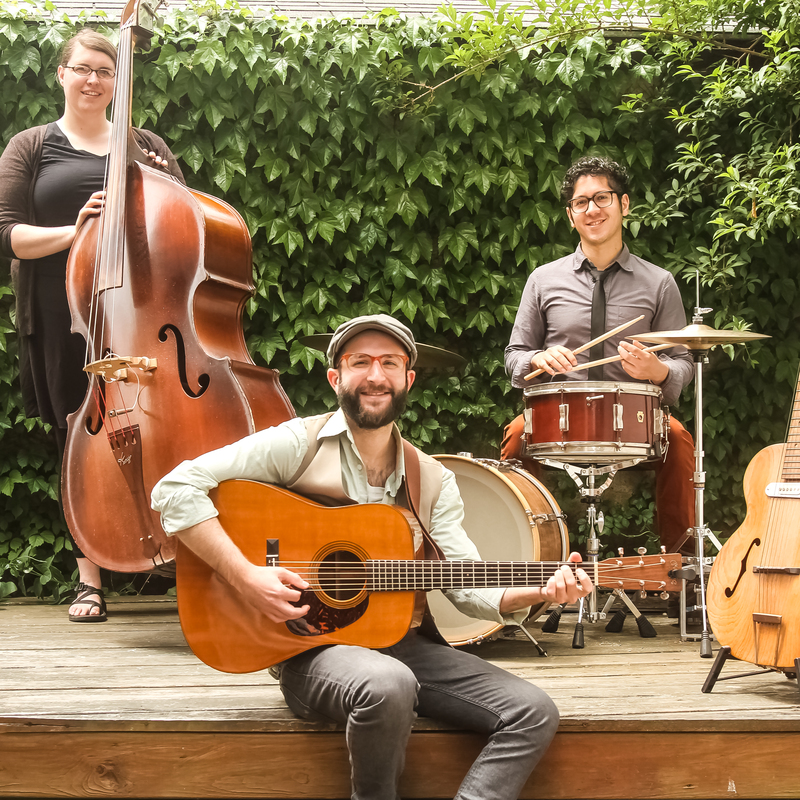 "The band’s approach is decidedly modern, with as much an influence from folk and swing as from hard driving bluegrass. Song topics also more reflect the urban environment in which they live than the country or rural themes that dominate so much bluegrass from southeastern artists." "They sound softer than the dew on the mountainside, harder than a Harley pushing back red dust, sweeter than true love." "Opening [This Old Way] with some extremely fleet-fingered acoustic lead from frontman Ethan Robbins, the rest of the band quickly locks in. James McIver holds down the bluegrass banjo, doing – well – exactly what bluegrass banjo players do. Stars of the piece...are double-bassist Kirsten Lamb and loose-wristed drummer Ariel Bernstein. Obviously well-schooled in their instruments, this pair are, on this showing alone, probably one of the finest rhythm sections ever to have fetched up in the name of bluegrass." "It’s always inspiring to talk with musicians who know what their path is—and Ethan Robbins is one such musician. He feels the music in his heart and soul and it shows when he plays. Ethan becomes the music on stage. There’s an almost mystical connection between his guitar and the notes that flow out of it." "There were plenty of magical moments [at FreshGrass Festival]. I will never forget watching the band Cold Chocolate perform underneath the enormous Xu Bing’s 12-ton Phoenix sculpture." "Cold Chocolate plays a style of bluegrass that is so ridiculously good, that I really love Cold Chocolate. Singer and guitarist, Ethan Robbins has a depth and soul to his voice that blends certain aspects of soul and blues music into their traditionally instrumented sound, creating a unique quality that makes their music far more than a couple pickers playing Bill Monroe tunes. This is something special. High energy, excellent harmonies, and, of course, killer picking from the group makes Cold Chocolate an experience that you won't want to miss out on." "Cold Chocolate has got a very unique personality, a sophisticated sound, unheard till now."